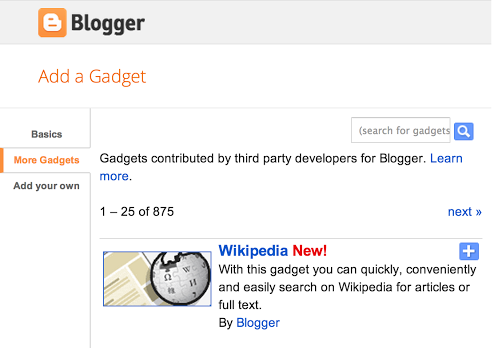 Yesterday, Blogger added a new Wikipedia Search Box widget to their Gadgets inventory. This gadget is solely developed by Blogger officials, so it is rather obvious that it would not have any creepy bugs. Though, it is a precisely minimalistic gadget as it only provides you the ability to search Wikipedia within your site. 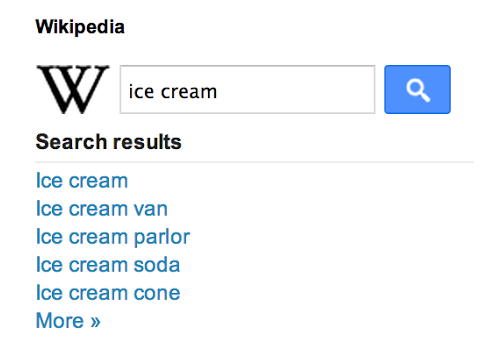 However, to be able to view a certain topic you have to visit Wikipedia by clicking on the search results. It works pretty much like Google custom search engine, and its appearance is also somewhat identical to it. Therefore, today in this article, we will show you How to add Wikipedia Search Box Widget in Blogger? Apparently, you probably won’t get anything out of this widget, but it might grow user engagement because people can utilize this gadget to search the content in-depth. For example, you wrote an article about Google Panda, but users did not find it as useful or they wanted to know more comprehensive information on this topic. This tool can help users to search the same topic on Wikipedia so they can get comprehensive information on it. The process of adding this widget into your blog is a lot straightforward. There is no need to tussle up with coding because it would be installed in just few clicks. Firstly, go to Blogger.com >> Your site >> Layout >> Add a Gadget >> More Gadget. Now from the list of widgets, on the top you will see a widget named “Wikipedia” just select it and press the “Save” button. Whenever someone would use Wikipedia search box, it would populate the search results below the search bar and link out to the corresponding Wikipedia article (in a new browser tab). This would benefit both you and your users. Our latest addition to the Gadget Gallery is the Wikipedia gadget. It allows you to add a Wikipedia search tool into your sidebar, under the header, or above the footer. Do tell us, what you think about this latest addition in the inventory. We hope you enjoy this new gadget. However, this is not the limit, there are numerous ways through which you can increase the credibility of your website it entirely depends on a person how he use them. Please let us know what you think about it. It feels honored to have such a fantastic reader like you.